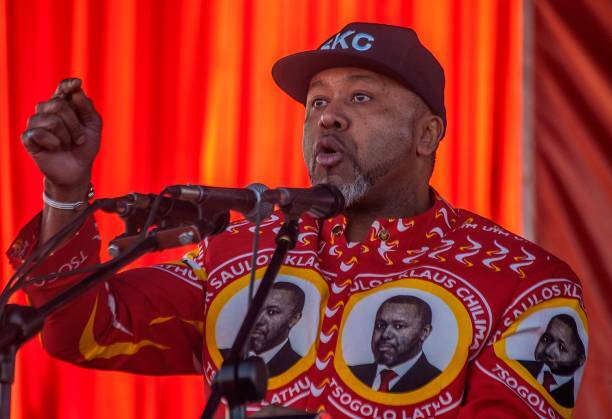 Vice President Dr Saulos Chilima who is also the leader of a newly formed United Transformation Movement (UTM) has been given seven days to clearly give deep information on the alleged bought spying machine by Democratic Progressive Party (DPP) officials with an intention to rig the 2019 general elections. In the letter which has been addressed to Chilima, the Director of CID Inspector Chaima says the speech which Chilima said about the spying machine contains very useful and important information hence a need for him to clearly provide a deep information. “As you are aware sir, as the Malawi police service, prevention, investigation and detention of crime is part of our mandate and so are issues of protection of human rights of persons in Malawi. “My writing therefore, is to humbly request you sir to provide more information on the issue at your earliest convenience preferably within seven days of receipt of this letter so that my office can institute a formal investigation into the matter,” Chaima said in the letter. In his speech during the launch of United Transformation Movement (UTM) in central region, the vice president openly said there is a spying machine which the DPP led government has purchase with an intention to rig the impending general elections. However, Chilima added that despite the purchase of the machine, the people involved will not be able to rig the elections because they do not have the capabilities.